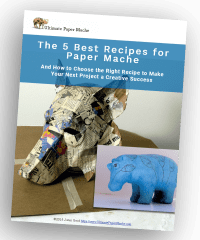 Your next project is waiting for you – discover more than 450 exciting projects, plus exclusive recipes and techniques you won’t find anywhere else. If you don’t see what you’re looking for in the blog posts below, try the search bar. Still can’t find it? 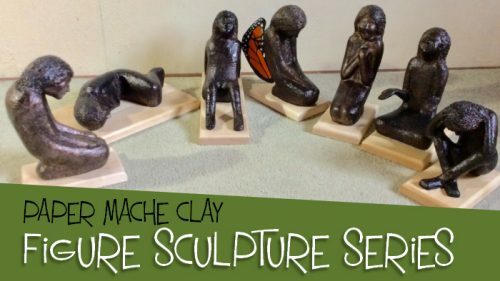 Leave a comment on the Daily Sculptors page and I’ll try to help. 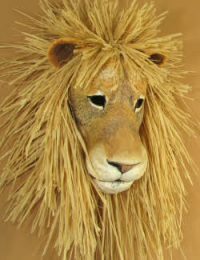 And for a really fast start on your next project, click here to see my sculpture and mask patterns. 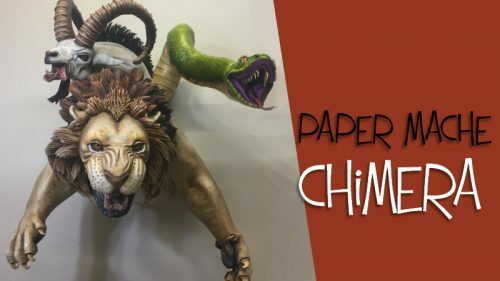 This paper mache chimera was made by Cindy Williams, and she shows us every step in this amazing tutorial. 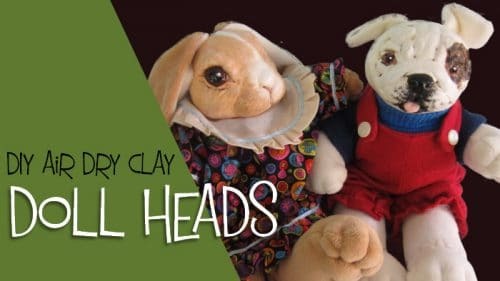 These hollow doll heads are made with DIY Silky-Smooth Air Dry clay. 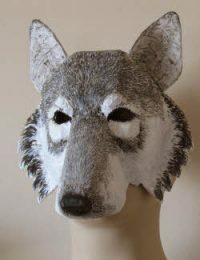 They’re adorable, and much easier to make than you would expect. 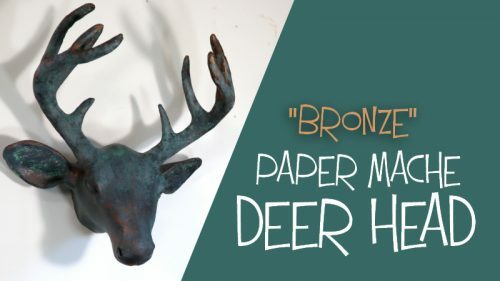 It’s easy to add a bronze coating to paper mache, like I did with this deer head. There’s other ways to do it, too, and our readers are sharing their ideas here. 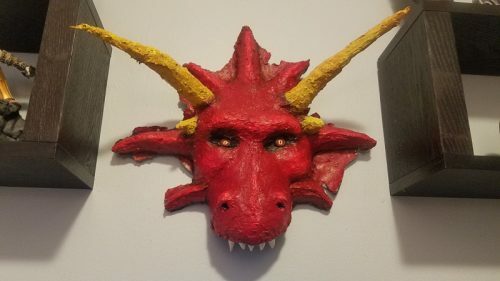 This dragon head bust or wall sculpture, was made with CelluClay, glass beads and polymer clay teeth. See the full guest post tutorial to see how it was done. 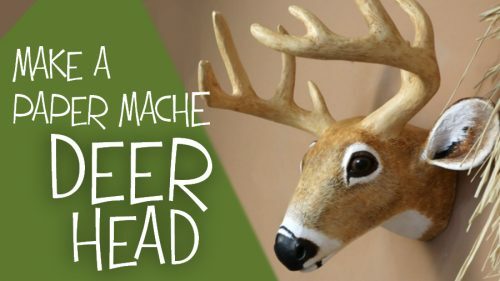 This paper mache deer head is easy to make with the downloadable pattern. 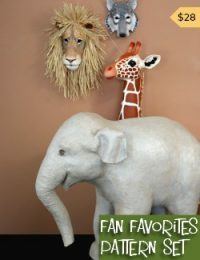 Create your own faux taxidermy wall sculpture and paint it to match your decor. 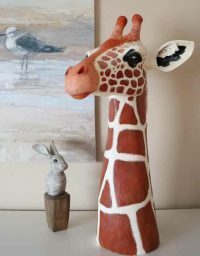 If you love paper mache clay but it doesn’t come out the same every time, your kitchen scale is the answer. Use these gram measurements from now on. 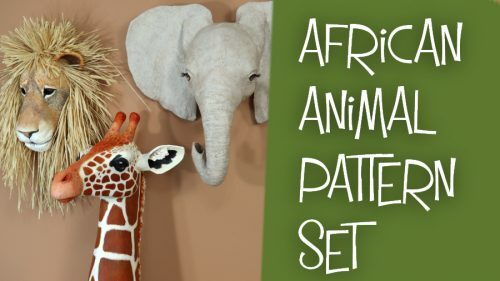 These popular patterns help you create a giraffe, a lion and a baby elephant. 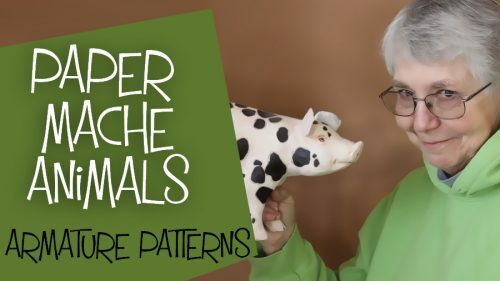 Just cut out the patterns, tape them together, add paper mache and paint. This paper mache Therizinosaurus is just getting started. 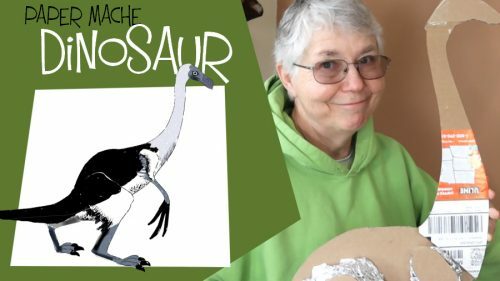 To make one of your own download the dinosaur pattern on this page and follow along as I continue building him. 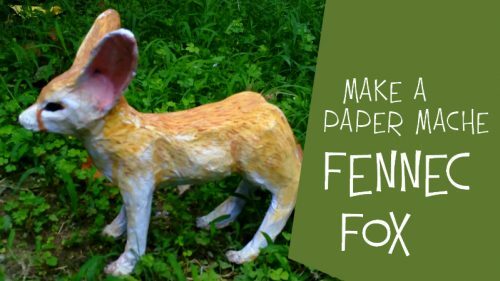 Start sculpting your paper mache animals the easy way by using a custom-made armature pattern. 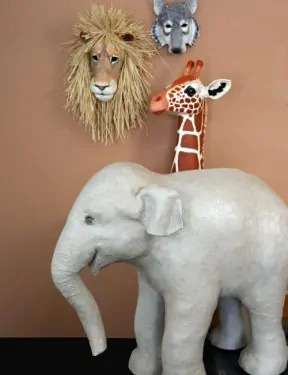 Sculpt lifelike animals, birds, lizards and fish. 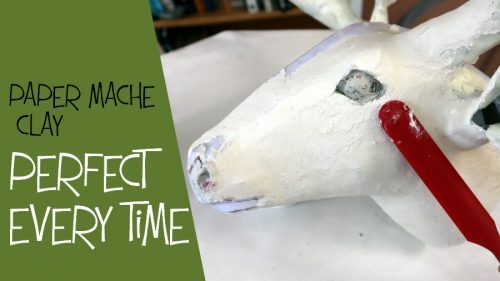 See how I created paper mache African mask with four layers of paper strips and paste. 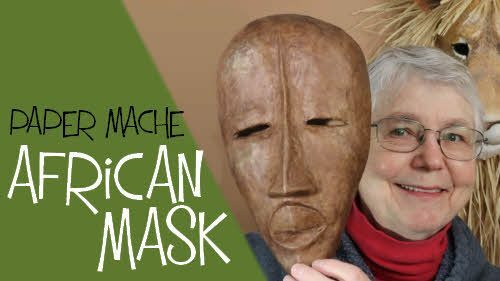 My model was a 100 year old mask from the Ivory Coast.